North Oakland Double IPA 2008. 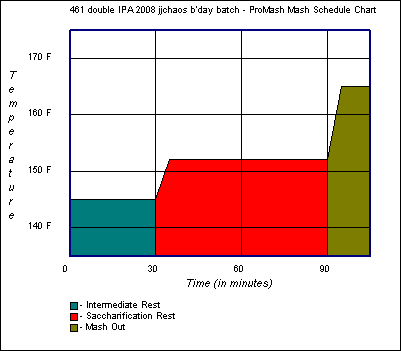 Low efficiency due to use of the no-sparge method. amount of DME necessary: 140 grams / 5 ounces. 2 dry hops, 1 7 days into fermentation, 1 14 days into fermentation.